TO BE OPENED BY: Tene Moore, Tutor at Clontarf Aboriginal College. 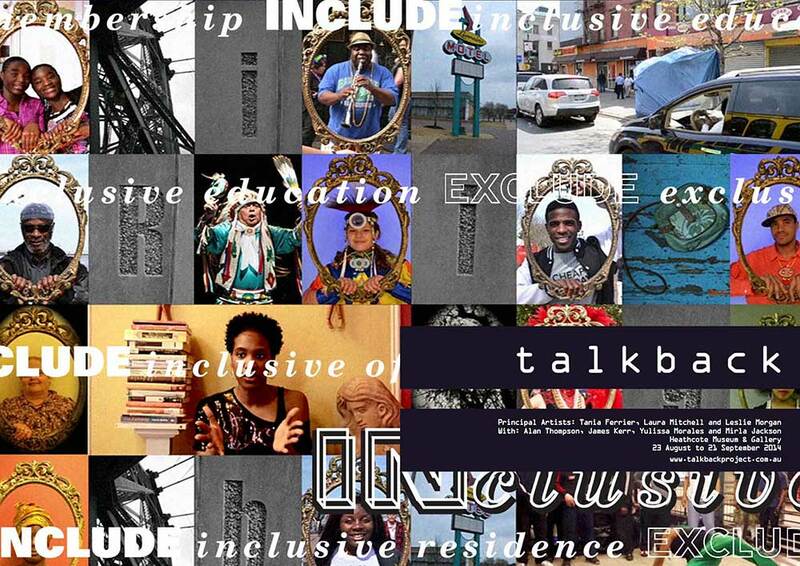 TALKBACK is a hybrid arts installation that aims to explore the intersections of race and identity. The main exhibit is a video collage titled TALKBACK that features interviews with sixty-six Americans and Australians, including prominent artists, who duscuss aspects of their histories and aspirations. The project seeks to encourage dialogue about belonging, blackness, whiteness and intergenerational continuity and change. 2-5pm Saturday 6th June, 2015. 7th June – 28 June, 10 – 5pm daily. 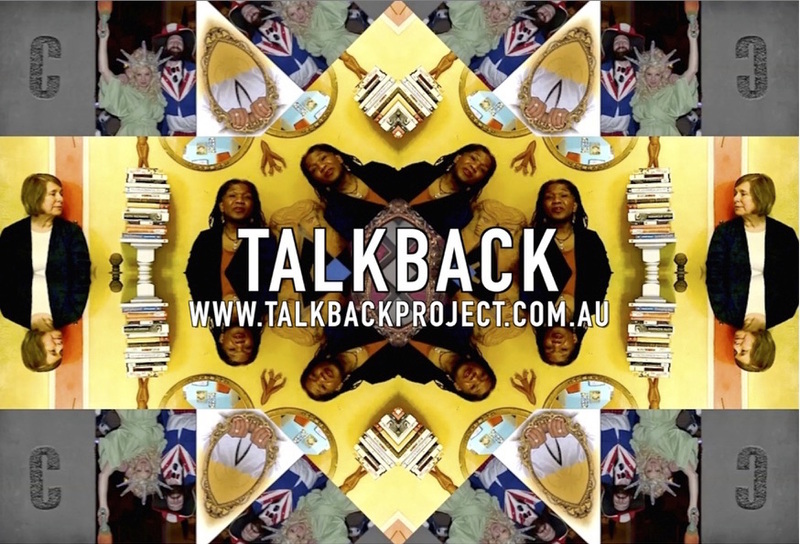 Talkback shows at Heathcote Museum & Gallery, Perth, WA from 22 August to 21 September, and at the Academy of Fine Arts, Lynchburg, Virginia, USA in 2015. Yulissa Morales and Mirla Jackson are two young photographers who collaborated with Tania Ferrier in the USA in 2012 on photography and research for Talkback.